When I headed to Pretoria to speak at the second Annual Protocol Conference for Africa, (www.protocolconference.net) I never guessed that my vocabulary would soon include Biltong, Koeksisters (when spoken the name sounds to me like “Crooked Sisters”) and Pinotage - foods and wine I’d never heard of, much less tasted. In September I wrote in this blog that I thought I might taste Boerewors (a type of sausage) but I didn't. Unexpected treats were what I discovered. Fortunately I was introduced to all three staying with friends who were the organizers of the conference. Each was offered as a special treat and they were exactly that and more. These are traditional South African foods and wine that are part of contemporary life. 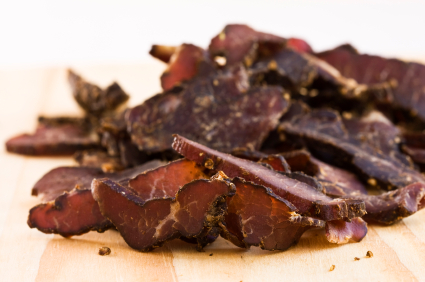 To briefly explain: Biltong is a cured meat similar to what we in the US call jerky. It’s often made from beef, game or even ostrich. Everyone it seems has a favorite supplier and flavor. For my taste it makes a delicious sandwich (especially when its part of a picnic lunch). Koeksisters is a dessert of braided pastry covered in a sweet syrup. It is so important in the history of South Africa that a recipe for it is in the District Six museum in Cape Town (www.districtsix.co.za). District Six was the Sixth Municipal District of Cape Town in 1867. Originally established as a mixed community of freed slaves, merchants, artisans, labourers and immigrants. It was a once a vibrant community but later was destroyed with black South Africans being the first to be resettled in other areas. By 1982 60,000 people had been forcibly removed and the area flattened. The museum honors the memory of those experiences and includes wall hangings that are hand embroidered recipes of the foods of that were traditional within the community. Pinotage is a South African wine made from grapes grown developed and grown there. The Pinotage Association (www.pinotage.co.za) describes the wine as: "Almost always a deep, dark color, it can be an easy-drinking wine with upfront wild berry flavors, or it can lean towards smoky, musty undertones with firmer tannins.” My tastings included bottles from several wineries, each distinctive and delicious. Sharing food and wine with long history as part of a country new to me made me feel connected to my friends and new acquaintances in a way that just visiting the tourist sites could not do. The experience reminds me to search out local foods wherever I travel in 2012 and I hope that you will too. What tastes will we remember when we begin 2013?